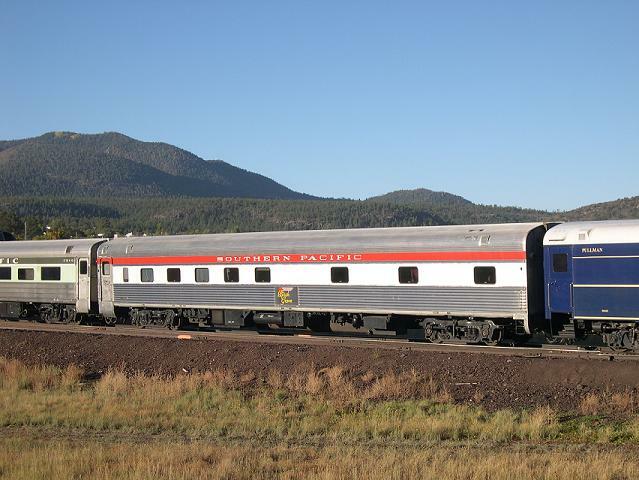 Birch Grove is a 1950 all stainless steel twenty one bed streamliner sleeper designed to be the companion car to our “Moonlight Dome” bedroom/lounge car. “Birch Grove” features six up and down birth double bedroom suites and nine single bed roomettes. The double bedroom suites have a private toilet and sink and small closet and can be set up for daytime or night time use. The nine roomettes all have fold down sinks with roomettes 1, 2 and 4 having original toilets. The remaining roomettes use the public toilet at the end of the hallway. All twenty one beds use the public shower also located at the end of the hallway. Each room features separate heat and A/C controls as well as a room fan and storage closet. All rooms have a full size window to the outside. “Birch Grove” serves as the perfect companion car to “Moonlight Dome” due to its ability to accommodate twenty one passengers and crew, thus allowing us to book a total of twenty four passengers for a two car private charter at a low cost per person. No other operator can accommodate twenty four passengers, being able to serve all twenty four in the dome at one seating. The result is a lower cost per person.